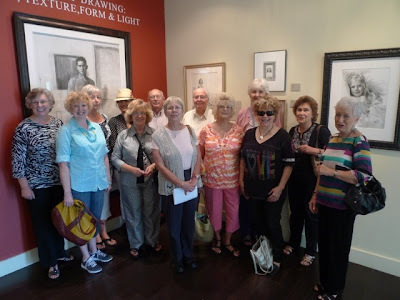 My Art Group headed downtown Nashville last Wednesday to visit the wonderful Haynes Galleries Exhibit. We enjoyed visits to a few other art galleries, in particular, the Tennessee Art League Gallery where we were presented with some great information on the Tennessee Watercolor Society and Plein Air painting. And of course, we stopped for a quick lunch. What's an outing without food!